This week's blizzard postponed Trombone Shorty's show at Lincoln Hall in Chicago until April 4. More information is at www.lincolnhallchicago.com. Shorty will find out on Feb. 13 whether his 2010 album "Backatown" will take home the Grammy for best contemporary jazz album. He could come home with a fistful of awards when the Grammys are presented that night, as he is also part of two other 2010 Grammy-nominated projects. His version of “Ooh Pooh Pah Doo” is on "Treme, Music From the HBO Original Series, Season One," is nominated for best compilation soundtrack album for motion picture, television or other visual media. 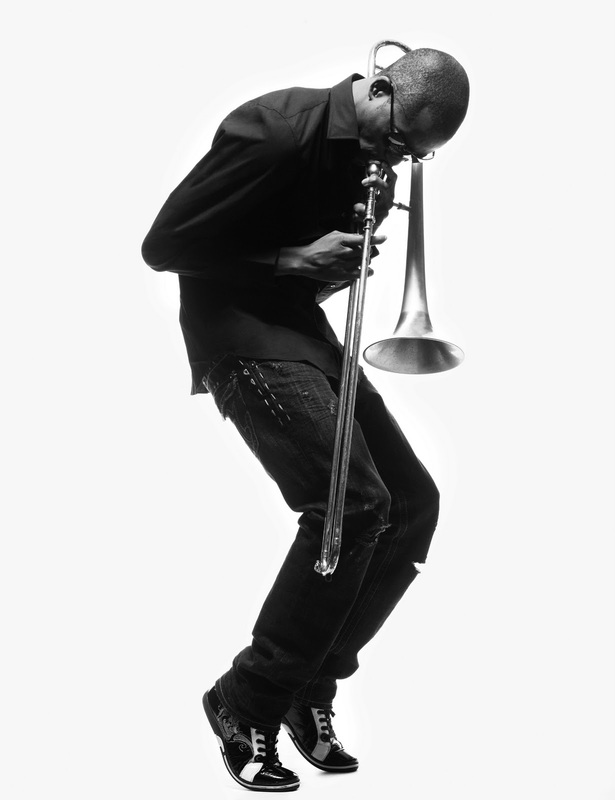 Shorty, www.tromboneshorty.com, also performs with Dr. John on “Down in New Orleans” (from the Disney movie "The Princess and the Frog"), nominated in the category of best song written for motion picture, television or other visual media. Last year, I had the chance to talk to the 25-year-old New Orleans trombone and trumpet player - born Troy Andrews in the Treme neighborhood in New Orlean's 6th Ward - about his banner year and what it was like to play alongside Bo Diddley at the tender age of 4. Q - You guys played in Brazil. How was that experience? That was amazing. We played at a festival. This guy is in love with New Orleans and he created this festival called the Bourbon Street Festival. He brought us down and we headlined. He has a club called the Bourbon Street Club and we went to play in front of 20,000 people on the street. It was really fun. Q - Speaking of New Orleans, you made four appearances on the show "Treme" last year. Do you think the show is putting the spotlight back on New Orleans? I think everything is helping. I definitely think the show is very authentic. Not only is it helping put the city in the spotlight, but it is also giving different views from people. You are getting the real New Orleans besides the French Quarter. I think it is definitely helping. You have millions of people watching it. They really get to see what we go through every day. I remember playing that day with my brother James, who is responsible for me playing music. I remember we played in a parade during the Jazz Festival. The people picked me up and crowd surfed me to the stage. I got on stage with Bo Diddley, and I remember blowing some loud notes, just making some sound. I don't even know if I was doing the right thing.